Germany-based Henkel announced that its Technomelt Supra 100 Cool achieves a new record among hotmelt adhesives used in the packaging industry with an application temperature as low as 100˚C. In addition to its low application temperature of 100˚C and its high adhesive strength, Technomelt Supra 100 Cool is suitable for application in the food industry, such as case sealing, carton closing and tray erection. The low application temperature also means faster applicator start-up. The amount of wear and tear to which machine components and applicators are subjected to can be appreciably reduced, with the maintenance input involved in removing cracking residues also diminishing. According to Henkel, trials carried out by consumer goods manufacturers throughout Europe have demonstrated that the low application temperature of Technomelt Supra 100 Cool reduces the energy requirement compared to conventional hotmelts by up to 50%. Moreover, Technomelt Supra 100 Cool, with good heat resistance and cold flexibility, can be used in both warm-filling and deep-freeze applications. 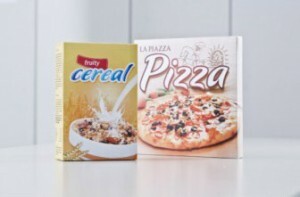 Henkel says this new hotmelt reduces adhesive consumption, in the case of a carton sealing, for example, by up to 25% compared to Coolmelt Ultra 90, another adhesive from the company.